O almighty and eternal God through the death of Your Son You have destroyed death, and by His rising to life again you have restored innocence and everlasting life. Being delivered from the power of the devil, grant that I might live under You in Your kingdom and that I may be forever comforted by true faith in the resurrection of Your dear Son. Do not let the thought of death fill my heart with terror, but give me the blessed assurance that, just as You have with Christ, I will not remain in the grave but will rise again at the End of Days. And when, by Your grace I have finished my course let Your resurrection be for me a sure pledge that an inheritance that does not fade is reserved for me in heaven. While I live, guide me with Your holy counsel; and when I die give me the crown of life, that with all the holy angels and the elect I may praise and glorify You, world without end. Amen. And by His presence stills all strife. Christ has triumphed! He is living! Easter is a victory celebration, a time for all Christians to proclaim boldly their faith in a risen and victorious Savior. For the early Christians, Easter was not merely one day, it was (and is) a whole season that also includes the celebration of Jesus’ ascension. The fifty days between Easter and Pentecost, known as the Great Fifty Days, was the first liturgical season observed in the first three centuries of the Church. This fifty-day celebration is a week of weeks, renewed in the last decades by emphasizing the Sundays as being “of Easter.” The season’s length is fitting because we are dedicating one seventh of the year to the celebration of the Lord’s resurrection. Easter begins with evening prayer on Holy Saturday, and ends with midday prayer on Pentecost. The first celebration of Easter is the Easter Vigil, the evening of Holy Saturday. The Vigil includes a service of light, in which fire symbolizes Jesus as the light of the world. 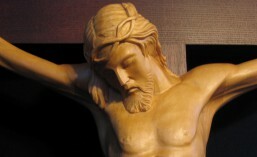 The service is designed to take the Christian from the solemnity of Good Friday to the predawn joy of Easter. Now after the Sabbath, toward the dawn of the first day of the week, Mary Magdalene and the other Mary went to see the tomb. And behold, there was a great earthquake, for an angel of the Lord descended from heaven and came and rolled back the stone and sat on it. His appearance was like lightning, and his clothing white as snow. And for fear of him the guards trembled and became like dead men. But the angel said to the women, “Do not be afraid, for I know that you seek Jesus who was crucified. He is not here, for he has risen, as he said. 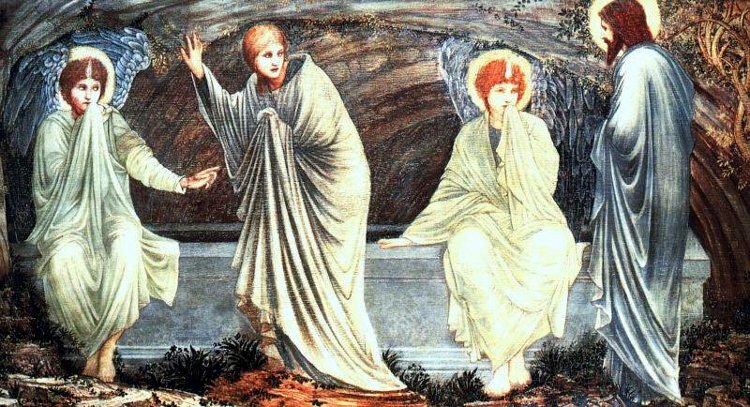 Christ is Risen: The world below lies desolate; Christ is Risen: The spirits of evil are fallen; Christ is Risen: The angels of God are rejoicing; Christ is Risen: The tombs of the dead are empty; Christ is Risen indeed from the dead, the first of the sleepers, Glory and power are his forever and ever.